In the past two decades, there have been significant advancements in IT Sector of India. Not only Indian but several Multi National Companies have ventured into the IT Sector of India. 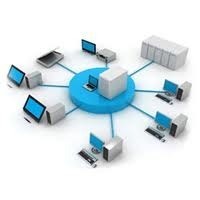 Moreover, there has been a rise in the field of IT enabled Services (ITES) as well. Undoubtedly, there are endless opportunities for those who wish to make their mark in the field of Computers. We endeavor to act as a bridge between the deserving candidates and the hiring companies in the field of IT/ ITES/ Computer.